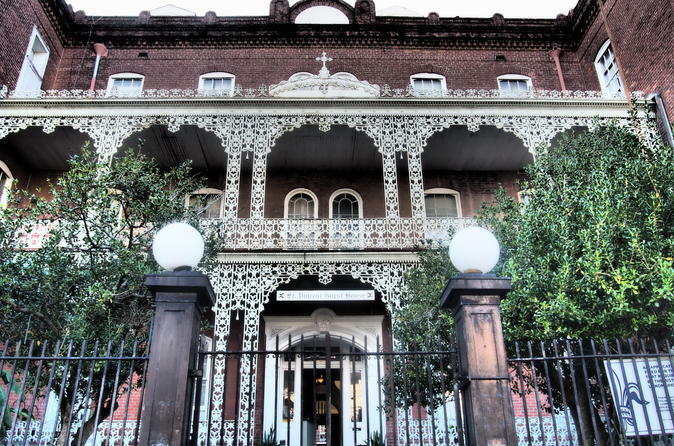 Come experience this 2-hour tour inside St. Vincent's Guest House in New Orleans. You will participate in a paranormal investigation led by professional Paranormal Investigators. Free on-site parking is included. This tour has a minimum age of 12 years old. St. Vincent's Guesthouse or Infant Asylum (orphanage) opened in 1861. With the Yellow Fever epidemic running rampant across the United States, especially in New Orleans, the death toll steadily climbed and more and more children were left behind as orphans and many succumbed to the illness themselves. You will join investigators from The Paranormal Society of New Orleans in this unique opportunity to go hands on with EMF meters, Rem Pods and other equipment to see if you can make contact with the children. Staff and former guests report seeing ghostly children playing in the rooms and common areas as well as hearing their eerie laughter throughout the hallways. The apparition of a Nun ascending the front stairway has also been reported. What will your experience bring? This property is scheduled for a full renovation in mid 2018 - this is a limited opportunity to enjoy St Vincent's as she stands in her original state.